In the vast, intricate tapestry of Russian history, the pattern and weave is of almost incomprehensible complexity. In particular, the events of the years 1934 – 1939 are so dense as to be nearly impenetrable. Arguably the most repressive years of the Soviet Union, these half-dozen years are bookended on the one hand by the 17th Congress of the Communist Party, the ascendance of the NKVD, and the assassination of Sergei Kirov; and on the other by the end of the Spanish Civil War with the loss of the Soviet-supported Republican forces, the Molotov–Ribbentrop Pact with Nazi Germany, and the Soviet invasion of Poland. The peak years were undoubtedly 1937-1938, dominated by the Great Purge, that frenzy of repression and paranoia largely in service of Josef Stalin’s consolidation of power, in which Stalin took the opportunity to dispose, en masse, through Nikolai Yezhov‘s brutal NKVD, of ‘counter-revolutionaries’, ‘enemies of the people’ and any and all threats, real or imagined. These comprised the vast majority of Old Bolsheviks, high-ranking military personnel, and Communist Party officials, including the Central Committee and the Politburo. This so-called Yezhovshchina was marked by mass arrests, detentions, torture, forced confessions, and show trials (more frequently, there were no trials at all) resulting in the execution of somewhere between 750,000 and 1.5 million people and probably even more, and the sending of countless millions more to the hundreds of labor camps and colonies of the vast GULAG system (all of this after collectivization and forced resettlement contributed to the famine of 1932-1933 that killed at least 3 million, but possibly as many as 8 million people). Victor Serge’s The Case of Comrade Tulayev takes place during these peak years. 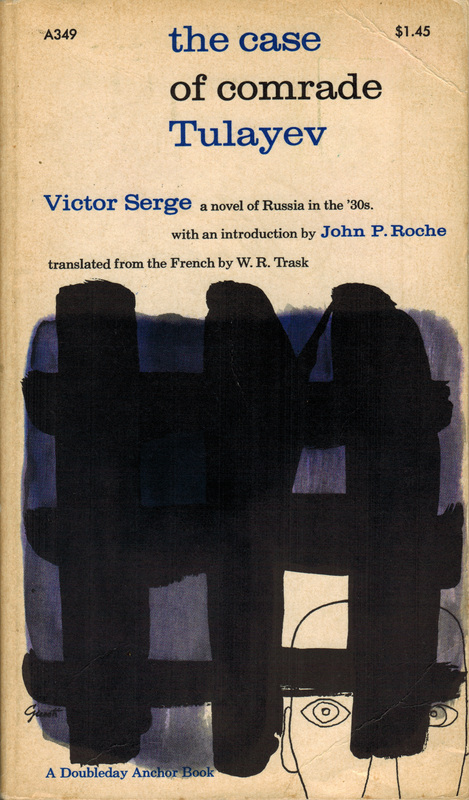 Written in 1942 from Serge’s exile in Mexico, and harshly critical of the cruel repression of Stalin’s totalitarian regime, it highlights with startling clarity the madness of the time through a handful of elegantly interwoven stories of individuals ensnared by an investigation into the assassination of Tulayev, a high-level Party official. At no point is it a detective story; we know the identity of the murderer the moment Tulayev is killed at the end of the first chapter. Nor is it a satire, since the chain of events depicted are hardly outlandish given the paranoia of the time. Rather it is a beautifully nuanced experience in dreadful slow-motion of the arbitrary violence caused by an enormous out-of-control machine as it decimates everything in its path. Here are shown not only the high-level Party members, acting out of delusion, fear, and self-preservation, but also the old guard, the idealists and the disillusioned, former members of the Left Opposition, followers of Nikolai Bukharin and Leon Trotsky. For many years Serge was almost lost to view. He was one of those intellectual misfits (I intend no disrespect by the term) who were ground to powder between the upper and nether millstones of Stalin and Hitler. The cover of the edition I own (above) is by George Giusti. This entry was posted on Friday, December 13th, 2013 at 11:09 pm and is filed under Uncategorized. You can follow any responses to this entry through the RSS 2.0 feed. You can leave a response, or trackback from your own site.